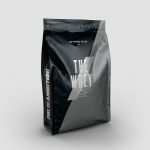 NO WHEY!! Guys, this is one of these deals that will not last! This is a super high-quality ISOLATE FIRST protein (review below) and is the only MP product that NEVER goes on sale. But, we somehow hunted it down with a crazy combo of the super low price of $24 for 2 flavors (down from $48) for the 2LB/30s bag which you can combine with an extra 40% OFF coupon we located!! Follow the instructions below and I suggest you MOVE FAST. Proceed to checkout and apply coupon ‘40PROTEIN‘ to drop it to $14!! 25g 100% Whey Protein with Isolate first and only 120 calories. 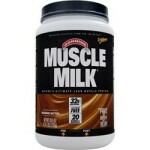 BOGO Free at Muscle and Strength.